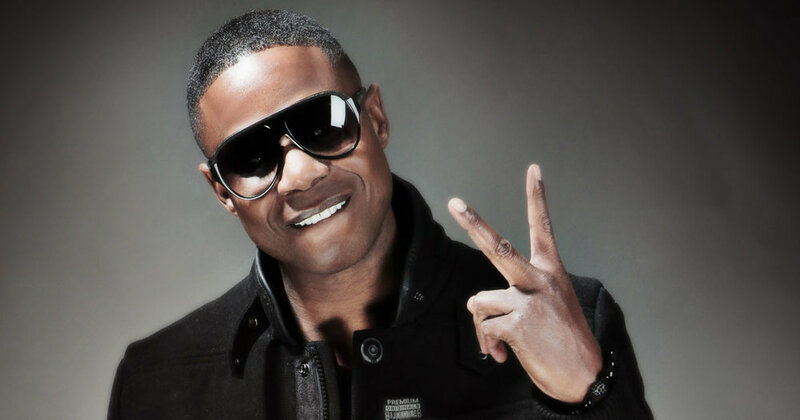 Doug E. Fresh is dubbed the “World’s Greatest Entertainer” and the “Original Human Beatbox,” but over the course of his 30-year career, he has established himself as so much more, including: global icon, artistic trailblazer, television personality and producer, successful businessperson, and activist. Fresh has forever etched himself into the annals of music history with his creation of the beatbox art form, whereby he vocally simulates the sound of drums and other musical instruments with stunning accuracy. Today, his skill and talents have resulted in an enduring international hip-hop legacy that continues to break new ground. As a pioneering entertainer, Fresh possesses the unrivaled ability to captivate an audience with or without a musical backing track and has performed at the request of Saints, foreign dignitaries, and US Presidents. As a television personality and producer, he has appeared as a performer and musical mentor on Fox’s “American Idol,” hosted HBO’s “Bad Boys of Comedy,” served as one of three celebrity judges on BET’s “Showtime at the Apollo,” and earned three consecutive executive producer credits for his work on BET’s newly reprised “Soul Train Awards.” As a businessperson, he has launched marketing campaigns for international brands like McDonald’s, Toyota, and Febreze. He has also established several successful enterprises, namely an eponymous restaurant in New York City and multiple real estate development projects. As a lifelong activist, he has set an example of the power of hip-hop and celebrity to address social ills. Proudly born and raised in Harlem, New York, Fresh shot from local phenomenon to nationally recognized talent with the help of an appearance in the 1984 cult classic movie “Beat Street.” By 1985, Fresh had become one hip-hop’s biggest international stars thanks to the success of his instant classics, "The Show” and “La Di Da Di," recorded with his Get Fresh Crew, including MC Ricky D (a.k.a. Slick Rick). As highlighted in a 2014 TED Talk by multiplatinum producer Mark Ronson, “La Di Da Di” holds the distinct honor of being the fifth most-sampled song in the history of music, proving it is not just a hip-hop classic, but a global, show-stopping tour de force highlighted by Fresh’s virtuosic beatboxing. In the late 2000’s, Fresh’s multi-tiered legacy spawned several tribute songs, most notably, the 2009 breakout hit “Teach Me How to Dougie,” by LA rap collective Cali Swag District. The song birthed an international dance craze called “The Dougie,” an ode to moves Fresh created in the 1980s that have since been adapted and performed by an unlikely bevy of celebrities ranging from journalists Wolf Blitzer and Barbara Walters to superstars Justin Bieber and Beyonce. Among the many awards Fresh has accumulated over the years, he is a Hip Hop Hall of Fame inductee; the 2004 recipient of The Source Awards’ Lifetime Achievement honor; and the 2014 BET Hip Hop Awards’ Icon honoree. Fresh made history as the first rapper booked to perform in Africa and the first rapper to perform at the United Nations (alongside his longtime friend and collaborator Stevie Wonder) for the United Nations Day Concert, in front of 193 countries. With the same ease that he takes the mic, Fresh takes on social responsibility. He wrote a children’s book entitled “Think Again,” as part of a 2002 Scholastic Publishing series, “Hip Kid Hop.” Fresh’s story promoted unity and acceptance through the tale of two kids who surmount racial antagonism to become friends. A tireless hip-hop activist, Fresh has fought against racism, drugs, illiteracy, police brutality and homelessness in communities around the world. A vocal proponent of artists' rights, he's a hands-on board member of The Artist Empowerment Coalition, and organization founded by his dearly departed friend, Prince. Fresh also serves as Vice President and Co-founder of the Hip Hop Public Health (HHPH) nonprofit, a joint effort with Dr. Olajide Williams, Chief of Neurology at New York Presbyterian/Columbia University Medical Center. Through HHPH, Fresh’s mission is to end health illiteracy through music and to foster positive health behavior changes, beginning with school-aged children. In his role with HHPH, he has worked directly with First Lady Michelle Obama and her “Let’s Move” campaign, even co-producing the soundtrack for the movement.